On this episode of the BSN Rockies Podcast, Drew Creasman gives further updates from Colorado Rockies spring training, breaking down some recent performances before jumping into a conversation about how effectively and aggressively the Rockies will run the bases in 2019. Plus, could the club get creative with their first-week roster? The post BSN Rockies Podcast: Colorado to be bigger, stronger, faster in 2019 appeared first on BSN Denver. 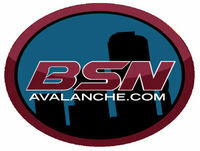 BSN Avalanche Podcast: ??????? ??????? BSN Nuggets Podcast: What are realistic expectations for the Nuggets come the playoffs?